BABIES are noisy, smelly, highly inconvenient, cause sleeplessness, destroy free time and are extremely expensive. Yet we feel like melting when we see them: their wide, gummy smiles, the adorable way they curl their tiny fingers around your thumb. This is not rational – it is in our genes. The urge to reproduce is deeply burnt into human consciousness. It is innate, instinctual, essentially programmed through evolution. But what if you are infertile? For a very large number of infertile people there is real pain. And this pain is as deserving of sensitive treatment as any other medical condition. The loss of self-esteem, a growing and deep anxiety, a corrosive sense of failure, great disruption of sexual relationships, break up of partnerships and frequent depression; these invade every aspect of life. I have spent nearly 40 years talking and listening to people at their most vulnerable: devastated by their lack of offspring, believing they are not ‘proper’ women or not ‘proper’ men. We have made considerable strides in fertility treatment and that is wonderful. But I am very sad that there is a real need to be very critical of what is also happening. More and more infertile British couples are getting very inadequate treatment or being exploited by an increasingly grasping industry that frequently ignores ethical standards. And neither the government nor its NHS do nearly enough to help. It is not only some doctors who are responsible for this. Many commercial practices, run by people who are not medically qualified and who have little or no professional training, are offering homespun treatments that simply do not work. They frequently make massive claims that the use of the remedies they peddle will improve IVF success before a woman undergoes that treatment in a private clinic. Their claims are highly dubious and do not stand up to scrutiny. As a doctor who has been so closely involved with fertility treatment, I feel hugely embarrassed. I deeply regret that IVF has become so commercial; something I never thought would happen. I had thought more doctors and other practitioners would be sensitive enough to realise that they were dealing with people at their most fragile. Such is my anger that I felt compelled to write a book. It will no doubt be very unpopular with some of my colleagues because it is critical of so much medical practice. My aim is purely to help people to ask their doctors the right questions and, where needed, to understand the treatment they are offered. I want to equip them with simple information so that they can improve their chances of getting the relevant treatments that are most likely to succeed. And, also, when it is unnecessary or hopeless, to avoid treatments like IVF completely. We are proud that Britain led the way in pioneering in vitro fertilisation (IVF). Some people consider it as one of the ten most important scientific advances of the last 50 years. But now, amid all the inflated publicity in the press and much bluster, IVF has become immensely profitable for some practitioners and the truth about its success rates is frequently hidden. Each IVF treatment is, on average, only successful in under one third of cases. Of course, it can be repeated at great cost, often with much anxiety. But people are now led to believe that it is almost the only treatment and the most successful. This is utterly wrong. There is excellent evidence that over half of those referred to IVF treatment could be treated as or more successfully by far cheaper alternatives. If you went to your family doctor complaining of chest pain and you were immediately referred for open-heart surgery without proper investigation you would think, ‘What a dreadful doctor!’ That pain for example might be due to indigestion, chest disease, a sore rib, or a viral infection. But the chances now are that if you complain about the symptom of infertility, you will be referred straight to an IVF clinic – where there may be no proper at attempt at making a diagnosis. To fail to discover the cause of any symptom is just bad, irresponsible medicine. With infertility, too, it is a major error. Because in most cases specific treatment of the precise cause will lead to much more successful treatment. Each cause of infertility, and there are many, may well need a different course of action. Moreover, IVF most frequently fails when the underlying cause is not first established. The NHS is much to blame. So often, it does not take the needs of people who are infertile seriously. It fails to investigate its patients adequately and the official guidelines for treatment are laughable. The regulatory bodies responsible like NICE and the HFEA have not done a great job. And, as soon as possible, patients are usually simply shunted into the private sector. Unquestionably, IVF should not cost nearly as much as what is commonly charged. Even NHS hospitals frequently make a profit that goes to support other services. A fundamental problem is the fact the NHS, too, now operates a market. So NHS centres may not charge what the treatment actually costs to deliver, but rather what it hopes the market will bear. The NHS is so cash-strapped that any profit is much sought after. As NHS hospitals charge NHS purchasing authorities excessive fees, the number of treatment cycles that the purchasers with a fixed budget can afford is reduced. So many patients are now limited to just one cycle of treatment – their treatment left totally incomplete. Thereafter patients failing one cycle are forced into the private sector, often into private clinics ironically operated by the same practitioners who treated them initially under the NHS. Here is real potential for a conflict of interests. But worse is still to come. Private clinics now charge extraordinarily high fees which are making some individuals immensely wealthy. But the combination of the desperation of infertile patients, combined with the seeming avarice of some practitioners is steadily raising market prices. Of course, there are very scrupulous, honest, kind and ethical doctors in this field operating in excellent clinics. And some do their best to keep prices down and avoid using IVF where they it is unnecessary. But a kind of cartel often exists. Each private clinic can easily assess what another charges and alter its prices. And with so many people who wish to have treatment and so many patients returning after failed cycles, there is little incentive to charge much less. The consequences are there to see. It is shocking that several private clinics are advertising on the London Underground. This is highly dubious ethically; indeed doctors should know that advertising is totally unacceptable and against the regulations of the General Medical Council. Also we see various private practitioners increasingly making exaggerated claims in the media about procedures they have ‘pioneered’ which ‘offer new hope for childless couples’. Moreover many patients are paying for treatments that are merely research procedures with unproven value. And many claims are made for various new ‘miraculous’ advances marketed before serious randomised controlled trials have been completed. Regrettably, the Human Fertilisation and Embryology Authority (HFEA), the regulatory authority set up to protect patients, has been woefully inadequate. It has done far too little to change what is charged both in the private sector, and also in the NHS. It is ludicrous that an NHS cycle of treatment may cost £1,000 in some parts of the country and exactly the same treatment in others over £5,000. This is evidence that NHS pricing is not based on the real cost of the procedure. Once in a private clinic, many couples find they pay far more than this by the time a single IVF treatment is concluded. Last week I heard from a woman who had paid over £11,000 by the time she had completed her first IVF cycle. And the costs for other services are eye-watering. A close friend was recently asked for more than £10,000 just for artificial insemination – and this was even without IVF being undertaken. So it is ridiculous, for example, that some clinics may charge £300 or £400 for freezing and storing embryos for one year, when the jug-full of liquid nitrogen in which the embryos are stored costs a few pence and the flasks in which they are kept can be reused again and again. Tiny dormant frozen embryos, invisible to the naked eye, do not occupy hugely expensive space. The HFEA has repeatedly claimed it has no power to control fees but this is nonsense. It has the remit to ensure ethical treatment and ethical research, and it has the most significant power of all, to remove a clinic’s licence to practise. I have often complained about these practices in parliament; government ministers show considerable concern but it seems unreasonably difficult to persuade them to take any serious action. The HFEA is a very convenient body behind which any government can hide. The government doesn’t want to interfere; it doesn’t want to be directly involved. 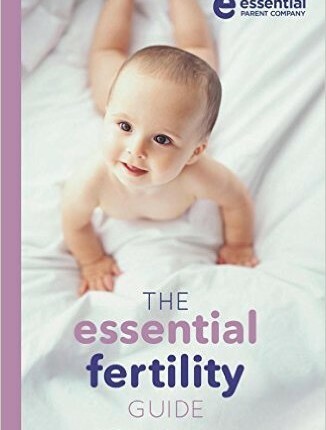 When I was first offered the post of Director of the Fertility Clinic at Hammersmith Hospital in 1980, a very senior consultant said to me: ‘Why would you want to work in the Futility Clinic?’ This attitude was common then; infertility was not seen as a symptom worthy of serious thought, and certainly not an area where there was a need for much better treatments. But, like other younger doctors, entering this relatively new speciality changed my life and it took me over completely. Many of us found ourselves doing clinics scheduled to finish at 5.30pm but that went on until as late as 10pm because we were so dismayed by the distress we encountered. In those days there were virtually no private clinics and we were all committed to try to help infertile couples wherever possible under the aegis of the NHS. And as the Health Service had not yet developed its so-called internal market we were nearly always able to a range of free treatments. And if occasionally some patients had to pay for their treatment it would be a realistic, genuine fee. That was how we were all brought up to practise medicine. But infertility was not seen as that important. Moreover, IVF was still controversial and so the NHS was very reluctant to offer it. As IVF became a bit more successful any widely held ethical attitudes about fees got lost. By 1986 more private clinics were established and it soon was obvious that as infertility is so common, there would be massive demand. Within a few years a great deal of money was to be made in this area of medicine. One irony is that as only about one in three women get pregnant with a single IVF treatment this massive income stream is easily supported. Not unreasonably, few people just go through IVF once. Most couple believe that eventually they will get lucky. It is time we took a much more careful look at how infertility treatments are being offered. For one thing it is clear that there are a vast number of people who get pregnant naturally after IVF has failed. In many of these cases, IVF was not the right treatment in the first place. What is frequently needed is wiser unbiased advice about the best course of action. It may frequently be a far cheaper treatment that works. And in many cases of so-called unexplained infertily, possible no treatment at all is needed. A woman recently wrote in desperation, having had three failed IVF attempts. It turned out she was having extremely infrequent periods and was not ovulating. She was also somewhat overweight. She had never been advised by her IVF clinic that her weight could be an important factor. She lost a few kilos and started on Clomid – the fertility drug which stimulates the ovaries costing around £20 per menstrual cycle. She conceived successfully four months after this treatment without any other therapy. Another 35-year-old patient had had a miscarriage six months after she married. She was referred to a fertility clinic where she was inadequately investigated and had seven treatment cycles. In all, she spent £33,600. Her cycles produced eggs that fertilised and with each treatment, fresh or frozen embryos were placed in her uterus. Each time she had the increasingly devastating news of a miscarriage or failed pregnancy test. It was only after her womb was investigated with a simple X-ray costing £300 that adhesions were identified in her uterus. A simple 15 minute operation under anaesthesia allowed their removal and within five months she became pregnant without further treatment. Her first baby, a girl, was followed by two further children each spaced about two years apart. Unfortunately, womb x-rays which can be highly informative are no longer routinely done. And inspection of the pelvis using a telescope, one of the most important investigations is often avoided. Consequently surgical treatments for infertility perhaps by microsurgery or keyhole surgery are less frequently done under the NHS. This is in spite of the excellent success rates that can be achieved. NICE has recommended, with dubious wisdom, limited indications for using the laparoscope. This ‘cost-saving’ approach actually results in more patients having expensive IVF treatment than necessary. One of the most serious issues are the number of unproven additional treatments offered to make IVF much more successful. Nearly all of them are expensive and do not bear the test of scientific credibility. Few, if any have undergone serious randomised controlled trials. These include many immune treatments, various drugs like Viagra to help implantation, and embryo biopsy for genetic screening to help choose the ‘best’ embryos. Meanwhile clinics run by unaccredited individuals may offer herbal treatments, courses of vitamins, aromatherapy, homeopathy, various Chinese remedies and acupuncture. The number of such treatments sold to desperate patients prepared to try anything is scandalous. None are regulated by the HFEA and none are proved to be effective. This is a depressing picture but I believe we can turn the tide. There are many bright young doctors and embryologists in training who are equally concerned. With better research we should find many ways of offering cheaper and more effective treatments in future. The best solutions are much better information to patients and proper investment in good academic medicine and training. In time we might look back – perhaps in 30 years – and say ‘My goodness, were they really doing that?’ Hopefully by then exploitation of infertile couples will be past history.